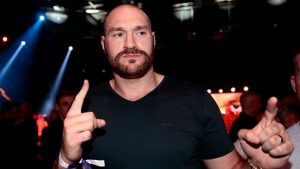 I could defeat Anthony Joshua with one arm behind my back – Tyson Fury – Royal Times of Nigeria. Former World Heavyweight champion, Tyson Fury on Monday said he could beat the current Heavyweight champion Anthony Joshua with one arm tied behind my back. Anthony Joshua shortly after his 11th-round victory over Wladimir Klitschko at London’s Wembley on Saturday had called out fellow British heavyweight Fury by saying, “Fury, where are you at, baby?”. Fury had dramatically beaten Klitschko on points in a world title fight in November 2015 and once held both the International Boxing Federation (IBF) and World Boxing Association (WBA) belts currently been held by Joshua. Mental health issues had forced Fury to relinquish his titles, while his licence to box was subsequently suspended by the British Boxing Board of Control. 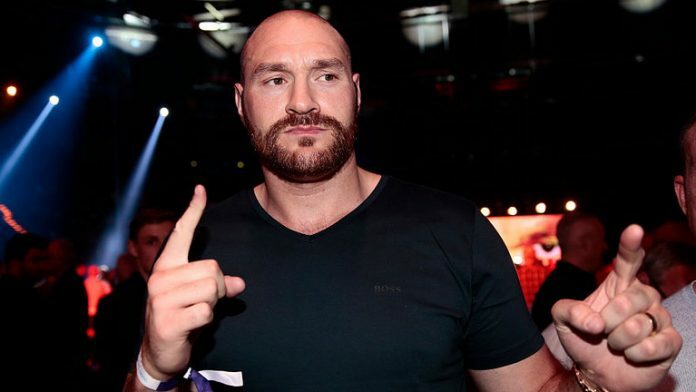 However, Fury could have his licence returned at a hearing next week and if Klitschko does not want a re-match with Joshua or terms for one cannot be agreed, the momentum behind an all-British clash for the world heavyweight title could be on the canvas. “It was an excellent fight, very entertaining and enjoyable and I was screaming for AJ to smash him. “I wonder what people would be saying today if Klitschko had done him in the sixth. “I was screaming, pulling my hair out — or what little hair I’ve got left — because I was worried it would cost us millions! “There’s only one fight out there, the biggest fight in the world and everyone knows that. It is the heavyweights, it is me and AJ, no one else.